Tlou Energy is developing one of the most advanced coalbed methane projects in Southern Africa with its Lesedi CBM project in Botswana. Over the last decade the CEO Tony Gilby has led the programme of proving up the project and the company has been the first to achieve many major milestones leading up to a crucial turning point as it enters the next year or two. Tlou was the first company to establish CBM gas reserves in Botswana, which were subsequently increased to 261 billion cubic feet (3P), the first company to be awarded an environmental impact assessment for a project of this type, produced the first gas-to-power from the site in 2017 and then in recent weeks was the first company in Botswana to receive a mining licence for a CBM project, now Tlou has received a request for the supply of up to 100MW of CBM from the government of Botswana. Despite there being complications from being the first mover on a project of this type, Gilby says with the support of the Botswana government the first mover advantage has enabled Tlou to establish itself as a major energy player in a country which currently relies on importing electricity (primarily from South Africa) and/or importing diesel to keep the lights on. The Australian company will be using a combination of lateral wells and a production well to draw gas from Lesedi’s Lower Morupule coalbed resting between 450-750m below surface. Moving forward with the project in terms of monetising the asset requires two primary objectives. Firstly, now the reserve is established the priority is to increase the reserve provision and secondly, where Tlou can realise serious value for its stakeholders, is to get into production. With the first reserve in place, a process which is technically challenging and expensive, the work is focused on expanding the reserve and Gilby anticipates that in the next two years that work programme will be successful. Gilby has over 30 years’ experience in the oil & gas industry and many years working in upstream operations and he therefore has the relevant expertise and experience of driving projects into production. The mining licence can be a major hurdle, which Tlou has achieved along with environmental approval – a stumbling block on so many projects. The first part of the increase reserve programme entails a 250km seismic survey which will commence in the next month or two, Tlou is hoping it will deliver increased contingent resources and possibly reserves. On the back of that the company is entering a fully-funded core hole programme again expected to increase contingent resources and reserves. Gilby predicts that both programmes will lead to high grade areas for additional gas flow drilling at a pre-development stage and is aiming to get underway with that early 2018 subject to securing funding. The diamond rich nation is crying out for secure, sustainable domestic energy supply and Gilby hopes Tlou’s project can provide it. The Botswana government is aiming to expand and diversify the country’s energy mix by tapping into an abundant source of renewable energy and enable the goal of becoming a net exporter of power in the coming years – Gilby explains the base load source of energy for renewable production should be gas not coal. “That will allow the country to have greater energy independence which will underpin economic growth. To increase economic opportunities by the creation of a renewable industry on the back of our gas is really what we are excited about. The Botswana government has recognised the fact that it needs to develop a sustainable, modern and environmentally friendly energy industry in the country and that trend is going to play well for Tlou. Getting a project like this off the ground takes a lot of positive interaction with government in joining the power grid before entering private deals. It can be difficult to negotiate and costly to organise private deals without the back up of sitting on the government-owned grid. The vastly experienced CEO explains that he actually finds it easier to operate in Botswana than in Queensland. There are equally strict regulations in the Southern African country but they remain clear and transparent. With less interference and a government throwing its weight behind resource projects, Tlou is finding the pathways to development simpler than it might in Australia. On another note, to further ingratiate the company with the country, Gilby is implementing a strategy to transform Tlou into a truly Botswanan company with more exposure to Botswana-based capital and more locals sitting on the board of directors. In addition, Gilby is aiming to raise the capital to fund the project from within Botswana’s own borders. He feels that if domestic investors fund the project then Lesedi is going to bridge the gap between a foreign company coming in with foreign capital and the CEO’s goal of becoming a truly Botswanan company. By bringing Botswana nationals onto the board and trying to raise the capital to progress the project from within the country, Gilby is bolstering the company for further growth and development. 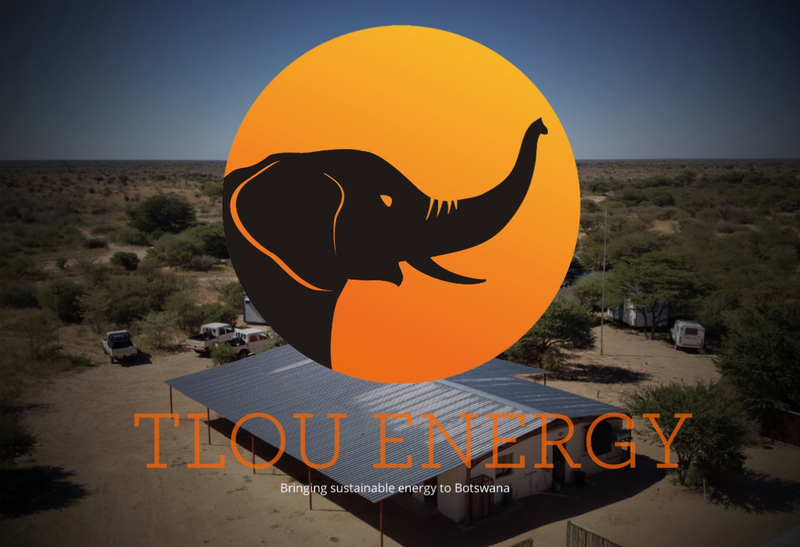 Tlou Energy is also building a project that is going to bring sustainable energy, economic enhancement and social prosperity to Botswana for the long term.